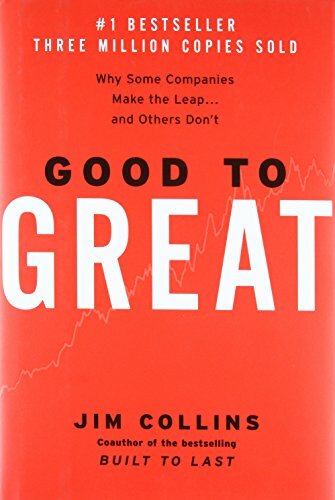 “Good to Great” attained long-running positions on the New York Times, Wall Street Journal and Business Week best-seller lists, sold 2.5 million hardcover copies since publication, and has been translated into 32 languages. "Greatness" is defined as financial performance several multiples better than the market average over a sustained period. Collins finds the main factor for achieving the transition to be a narrow focusing of the company’s resources on their field of competence. Collins used a large team of researchers who studied "6,000 articles, generated more than 2,000 pages of interview transcripts and created 384 megabytes of computer data in a five-year project". In this book summary of "Good to Great" you can discover the condensed wisdom to be gained from the book. You can discover what differences there were in companies that managed to achieve greatness. Do you want to know the characteristics of a leader most likely to take their company from good to great? Do you want to know how to hire the right people? The book summary includes information on each of the topics covered in “Good To Great” in a format that will help you while reducing the time required for reading the entire book. The author of “Good to Great”, James C. "Jim" Collins, III is an American business consultant, author, and lecturer on the subject of company sustainability and growth. Jim Collins frequently contributes to Harvard Business Review, Business Week, Fortune and other magazines, journals, etc. Collins began his research and teaching career on the faculty at Stanford University's Graduate School of Business, where he received the Distinguished Teaching Award in 1992. In 1995, he founded a management laboratory in Boulder, Colorado, where he now conducts research and teaches executives from the corporate and social sectors. Jim Collins’s work including his book Good to Great is an essential read for anyone with an interest in leadership or business management.